Do you have a preferred method when it comes to filing your taxes each year? 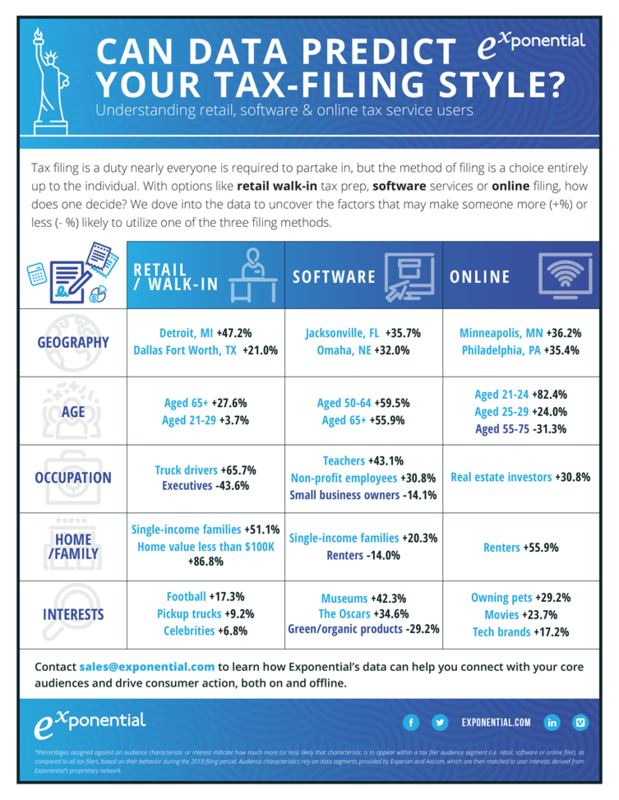 With different options including (but not limited to) retail walk in, software and online filing, we were curious to understand what factors might make someone more or less likely to use one of the three filing methods. Check out the infographic below to learn what a dive into the data revealed. Want to know more? Contact us to learn how Exponential’s data can help you connect with your core audiences and drive consumer action.